A lot of you voted on the poll of last week about you boyfriend, do you have one or not? It is almost 50-50! 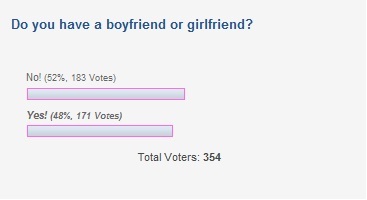 52% of you girls don’t have a boyfriend and 48% of you do!